As many educators recognize, an essential part of the math curriculum is to have their students efficiently represent key data through pictograms, block graphs and bar charts. 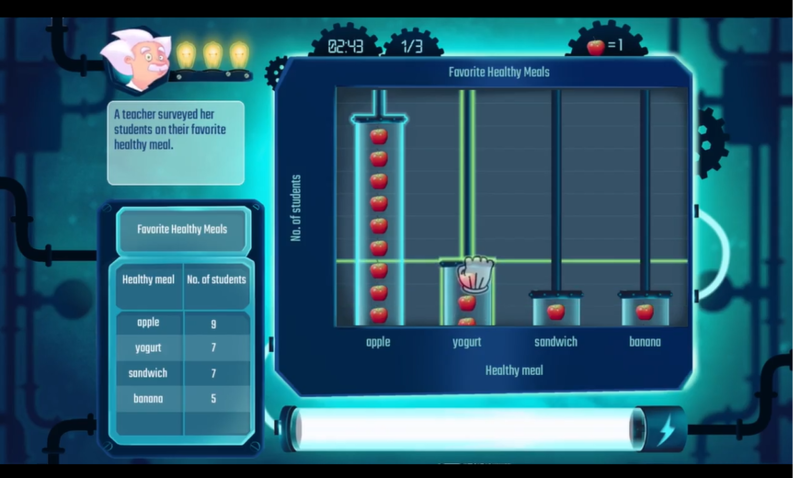 With our latest interactive math game, Dr. Grafoo, teachers can easily use real-life information to help students convey vital facts with visually engaging graphs and charts that make the meaning of data clear and comprehensible. Also, it is already aligned with the K-3 Measurement and Data (MD) category of the state standards for mathematics!